Majestic Carpet Cleaning provides high quality services to consumers and business customers in their area. They use the latest equipment and cleaning materials for upholstery fabrics and carpeting. The cleaning materials are well tested and will not harm your carpets or leave them discolored in any way. Your home will smell fresh and new. Regular cleaning of carpets can add years to the life of the carpet saving everyone thousands of dollars in replacement costs. 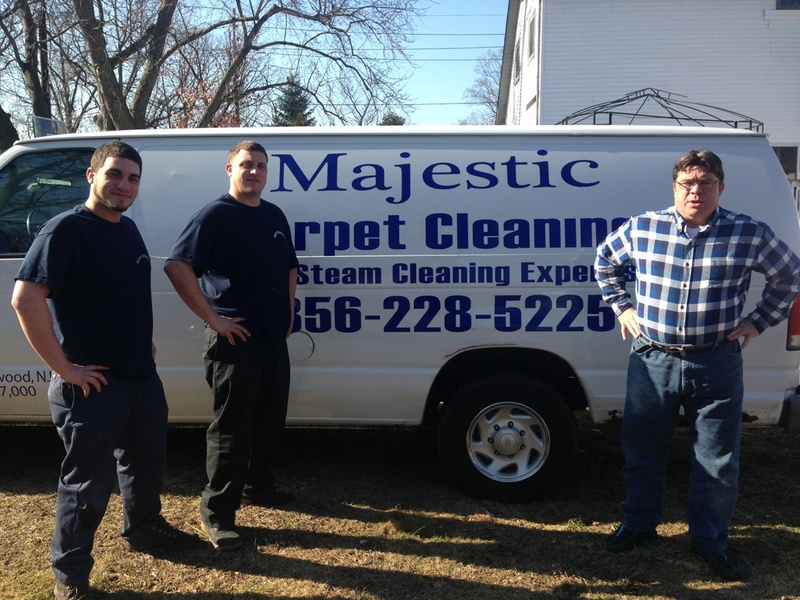 Majestic Carpet Cleaning also provides quality upholstery cleaning in Haddonfield, NJ services as well. They will clean all your upholstery including couches, easy chairs, cushions and pillows. Why not have them clean your upholstery at the same time your carpets are being cleaned? If you have never had your upholstery cleaned it may be time to do so. Instead of investing in a new couch or chair, why not have it cleaned first at much less cost than a replacement would be? Dust, dirt, dander from the pets etc. is on your upholstery just as much as it is in your carpets. Visitors and family members spill food and liquids from time to time on your upholstery which in turn collects dust particles making them look soiled. A thorough cleaning amazes many of our customers. They just cannot believe how great their upholstery looks after cleaning. They had no idea that the cloth covering the couch or chair was so soiled. If you are concerned about the cleaning materials harming your fabrics, rest assured that we have tested these cleaning materials many times on many different fabrics. Feel free to call our office anytime to discuss your concerns. Make an appointment for one of our representatives to provide an estimate and discuss your cleaning needs today. Call today for the next available appointment. We provide high quality upholstery cleaning in Haddonfield, NJ services for all your fabrics and ask for quality carpet cleaning at the same time.